Join us in Brandenburge Park on Saturday, May 25th for special ceremonies honoring our nation’s veterans and fallen soldiers. everyone heads out together to visit the Vietnam Veterans Memorial in Angel Fire before riding back to the hustle and bustle of everyday life. This event is held annually from Wednesday-Monday over Memorial Day weekend. Come experience wining & dining in the Red River Valley, featuring artists and wineries with unique Southwestern flair! The annual Art & Wine Festival is presented by the Red River Chamber of Commerce every Father’s Day weekend in Brandenburg Park. This event features art, pottery, photography, wine sampling, silent auction, and live music. The Red River Chamber of Commerce is celebrating the Art & Wine Festival, Father’s Day weekend, June 14-16, 2019 in Brandenburg Park. Come experience the picturesque Town of Red River while tantalizing your taste buds with fine wines and delicacies. This event features both silent and live auctions, art, pottery, photography, wine sampling, and live music. SEPTEMBER 8, 2019 – Cyclists take on the Enchanted Circle Scenic Byway for one of the most challenging tours in the southwest. The tour is a 100-mile ride around the Enchanted Circle that includes a short trip through Angel Fire to Black Lake and back. The tour starts at 8,750 feet, with a low point of 7,000 feet and a high point of 9,820 feet at the top of Bobcat Pass! Riders can also opt for shorter treks of 25 and 50 miles. Not for the faint of heart, this challenging tour features rest stops and “sag wagons” for weary riders but don’t let that stop you from enjoying one of the most scenic rides in the Southwestern United States! Head to the southern Rockies for this exciting event featuring handmade crafts, jewelry, home furnishings, food, art, pottery, and specialty goods. The fall colors are one of a kind and the local flavor of art is just as unique and beautiful. Enjoy shopping outdoors in the spacious Brandenburg Park or head into the Red River Conference Center for more to explore. Red River Folk Festival accompanied Aspencade this past year and was a huge success. 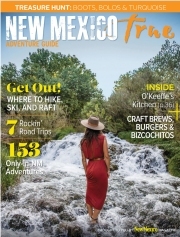 Authentic German food & music, craft beer & New Mexico wines, arts & crafts vendors, entertaining games & contests, ski trip giveaway, family friendly activities, changing colors, and more! Admission is only $5 for the whole weekend! You can buy your commemorative taster mug for $10 or stein glass for $20 when you get to the park: includes beer tastings. “No shave November” now starts in October! Come show us the hairs on your chin-y chin chin! DJ JP will be spinning your favorite polka (and non-polka) hits all weekend long! Get out your loveliest dirndl or heartiest lederhosen and come compete for $100 in cash. The Miss Oktoberfest competition will begin at 12pm and include a stein holding contest and an obstacle course. Immediately following, the Mr. Oktoberfest competition begins. This event includes a stein holding contest, an obstacle course, and maybe a special surprise category. Sign up at the Chamber of Commerce booth when you arrive at the park. Viel Glück (good luck)!